A brand new residential development in Manchester is meeting environmental planning requirements thanks to an Ecodan system providing community heating to 105 new homes. The Aaben, a modern development in Hulme, is a mixture of apartments and townhouses. Designed with energy efficiency in mind, the homes include a range of features that will benefit the environment and reduce residents’ energy bills. The original design was based on a ground source heat pump, but the costs proved prohibitive for the required budget, so design consultant Engineering Design Partnership (EDP) was tasked with value engineering the scheme. 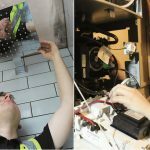 “Following the successful installation of a Mitsubishi Electric air source heat pump system on a previous residential scheme, we recommended the Ecodan ASHP system as we knew it would perform well, and offer a cost-efficient solution for The Aaben,” explains Dan Martell, Design Engineer, EDP. Installation company Proline was brought on board to install eight CAHV-P500YA Ecodan systems on the main roof of the development. 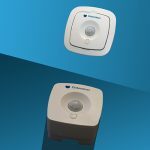 These provide hot water to a heat interface unit located within each dwelling, providing hot water and heating for the occupants. Each tenant is charged accordingly via a heat meter measuring how much heat energy is taken from the network. “The Ecodan system was perfect for this project as the units are designed to meet the heating and domestic hot water requirements for all apartments or houses via a district heating system. 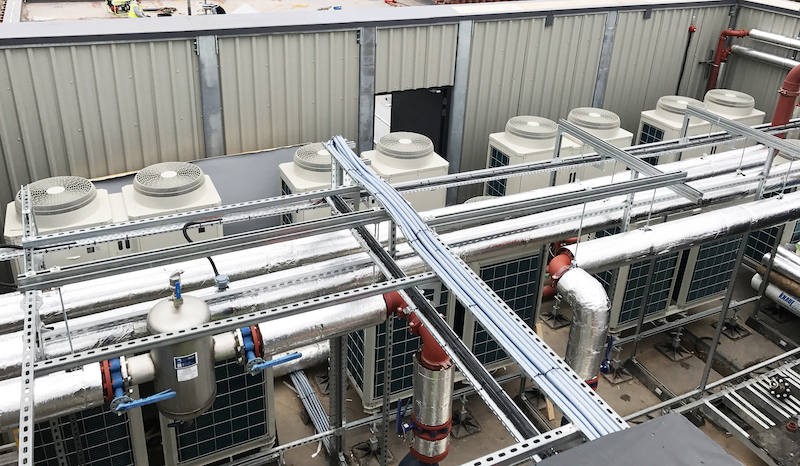 As the system is located on the main roof, there were some sound issues to overcome but these were easily resolved with the erection of an acoustic wall to prevent sound breaching the plant area,” says Paul Gledhill, Project Manager, Proline. The CAHV Ecodan system boasts a capacity of 344kW and can operate at sufficiently high temperatures to provide heating and domestic hot water. A 6,000-litre buffer also enables the system to store energy for short peak demand periods. Thanks to the installation of the Ecodan system, The Aaben is eligible to benefit from the non-domestic Renewable Heat Incentive (RHI). The RHI scheme provides financial incentives to increase the uptake of renewable heat with eligible installations received quarterly payments over 20 years.